Just wrapped on feature film You Will Kill directed by Marwan Mokbel. Killer times! On set of The Impossible, a short film directed by Kelly Hogrebe, about a man addicted to alcohol and the impact this has on his family over many years. So many talents here in LA! See me in the finale of the upcoming documentary That Sugar Film (directed by Damon Gameau), dancing with bubblegum, lollypops, sprinkles and chocolate mousse! Christina opened the fashion show for designer label Borsha, with a contemporary solo dance performance, at the Ana and Vlade Divic Humanitarian Cocktail night . Here is the latest article on Christina's Antarctic dance works Body of Ice and Polarity, published in the Australian Antarctic Magazine. Christina performing Body of Ice at the IV Antarctic Art and Culture Festival in Buenos Aires. A stunning experience. Christina is now 'The Face' of Colour and Light Photography. Make-up by Erin Giulieri of Ivory Rose Makeup Artistry. Body of Ice, a solo work exploring Antarctic ice, created and performed by Christina Evans will be seen in Argentina in just a few weeks. Spectacular image by Lucia Ondrusova. 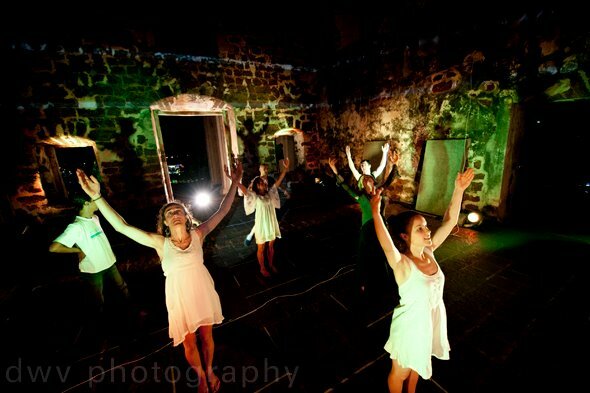 Photographic images of Polarity at the Melbourne Fringe Festival. Directed and choreographed by Christina Evans. Photographs by Lucia Ondrusova. 'Drive On' is the new single for Brook Chivell Band. Christina is the female lead. This is getting lots of airplay on the radio and the Country Music Channel. The band are about to head off to the states on tour. Rockin it! Surrounded by shadows, a man, imprisoned and alone, is haunted by thoughts of what’s to come. Slowly, he begins to see that his is a torture beyond what he can imagine. Unseen, his captors leave him to pull himself apart with fear. The Pit and the Pendulum is a production which looks to bring to life Poe’s vivid examination of the blurred line between physical and psychological suffering. Here are some fresh new photos of Christina, taken by the talented Lucia Ondrusova of Lucia Ondrusova Photography. Great shots taken by Dylan of Body of Ice at the Antarctica Festival in Canberra.